The lack of understanding around SD-WAN technology can be detrimental to British businesses as the benefits of the technology are twofold. In today’s evolving technology landscape, developing a successful business is no longer just a matter of finding a great location, hiring the best people and offering products and services the market demands. In order to stay ahead of the competition, developing a successful business requires connectivity you can rely on, that is fast, flexible and secure. Network performance and agility are critical to the success of digital transformation initiatives and the effectiveness of the hybrid IT environments that underpin them. With growing data volumes and more applications distributed across data centres and cloud environments than ever before, network technologies need to become equally agile to keep pace. Depending on the business and its specific network requirements, traditional networks may no longer be the best choice. 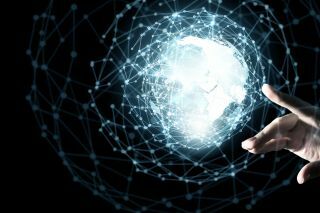 Software-defined wide area networking (SD-WAN) has now emerged as the next generation of networking solutions, powering business potential and driving business growth. SD-WAN is an automated approach to managing enterprise network connectivity and circuit costs. It provides a simple, secure and agile enterprise grade WAN for businesses who use cloud-based applications with geographically distributed locations. No longer just a business buzzword - SD-WAN has become mainstream amongst technology circles. However, knowledge about what the technology is and how it can help businesses has largely stayed within technology arenas, which has ultimately meant wider awareness and adoption is low. However, this lack of understanding around SD-WAN technology can be detrimental to British businesses as the benefits of the technology are twofold - the application performance, availability, efficiencies and ease of deployment make it an obvious choice for upgrading. A recent survey commissioned by Cogeco Peer 1 found UK businesses are suffering from SD-WOT Syndrome – an illness preventing them from fulfilling their potential. The study, which questioned 300 UK IT decision-makers, examined the extent of an illness afflicting businesses who do not understand and have not implemented SD-WAN technology. The main symptoms of this illness include a lack of understanding around SD-WAN technology (72 per cent), perceived security issues (43 per cent) and a fear that SD-WAN will disrupt business (34 per cent). These issues, while obvious concerns, can largely be disregarded once business leaders start their journey towards SD-WAN implementation. SD-WAN services have encryption built in, delivering high levels of security for data in transit. They bring greatly increased levels of control from a single, intuitive portal (for example, prioritising traffic from critical cloud applications) and deliver the agility to make configuration changes or add network locations quickly and efficiently. The study further highlighted that SME’s are most vulnerable to SD-WOT Syndrome, with over three quarters (76 per cent) of respondents from businesses with under 100 employees not understanding the technology. Lack of skills was also an issue identified by small businesses, with almost half (48 per cent) pinpointing this as the main barrier to SD-WAN deployment. Many businesses have invested significantly in MPLS, but this does not always provide the perfect solution to networking issues. Ripping and replacing technology can be costly, but one of the advantages of SD-WAN is that it can be used in conjunction with MPLS connections. In order to achieve the best possible connectivity, businesses need to seek out a service provider that is able to offer hybrid solutions with SD-WAN working in tandem with MPLS. Within the survey, the cost benefits derived from SD-WAN were emphasised as a key business benefit that most IT decision-makers referred to, with an overwhelming majority (88 per cent) acknowledging cost and efficiency savings from SD-WAN as a key differentiator within the next 12 months. A further 39 per cent of respondents revealed OPEX savings of between 10-15 per cent since deploying the technology. Additionally, the research revealed the main network priorities for UK businesses within the next 12 months, with improving network security being the paramount concern (60 per cent), and improving cloud performance (47 per cent), and improving connectivity between different locations (43 per cent) coming in second and third. All of these priorities identified by IT decision-makers are concerns that SD-WAN addresses. As we shift into the age of digital transformation, organisations who aren’t embracing or actively focused on their digital strategies are going to be, at best, uncompetitive or at worse, fail completely. Digital transformation is about improving performance, creating more and more efficiencies between lines of businesses and streamlining all areas of a business. Organisations require network technologies that are agile and secure, with the study revealing SD-WAN to be extremely important to the digital transformation process. It was revealed that over eight in ten (85 per cent) IT decision-makers stated they see the technology as crucial to enabling their organisation’s digital transformation. It is clear that many companies understand the benefits of deploying SD-WAN and the pivotal role it plays in wider digital transformation initiatives. However, it seems there is a lack of knowledge amongst IT decision-makers around the implementation of the technology itself, meaning thousands of organisations aren’t realising the benefits and powering their business potential. It is crucial that organisations seek the right partner to educate them on the clear-cut benefits that SD-WAN technology has to offer their business. The lack of understanding identified within the study highlights the importance of choosing a SD-WAN package that comes with a high-level of support and consultancy to ensure businesses can get the best technology to drive business growth and power business potential. This lack of understanding is leading many businesses to consider outsourcing SD-WAN deployment to a managed service provider, with over eight in ten (82 per cent) looking to do so. The main benefits identified of outsourcing deployment by IT decision-makers include speed of deployment (49 per cent), expertise (49 per cent) and cost savings (43 per cent). In an industry characterised by rapid change, SD-WAN technologies now play a pivotal role in wider digital transformation programmes, empowering thousands of businesses and providing them with the agility they need to stay ahead of the competition.